Click on map for full size! Italy's second largest city and capital of the north has 1.5 million inhabitants (3 million in metropolitan area of almost 1000 km2). 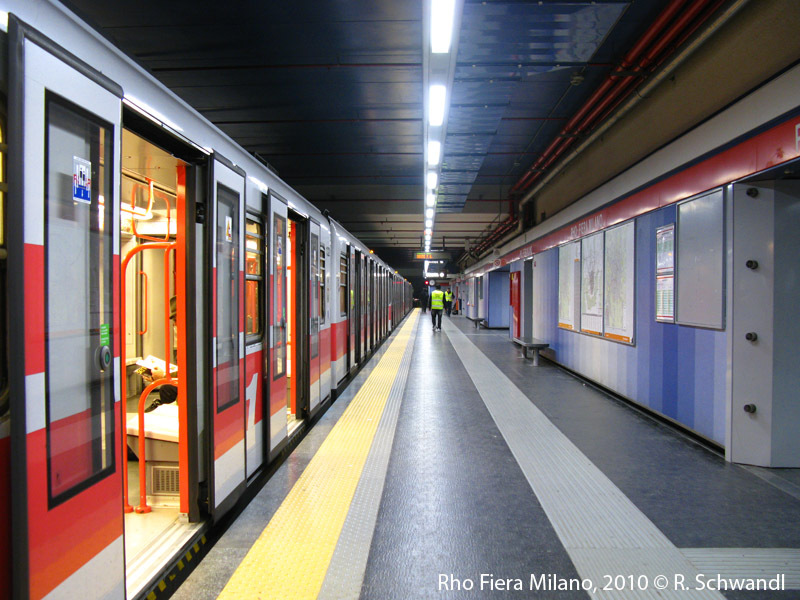 As of Nov 2015, the Milan metro system has a total length of 91.5 km and 113 stations. 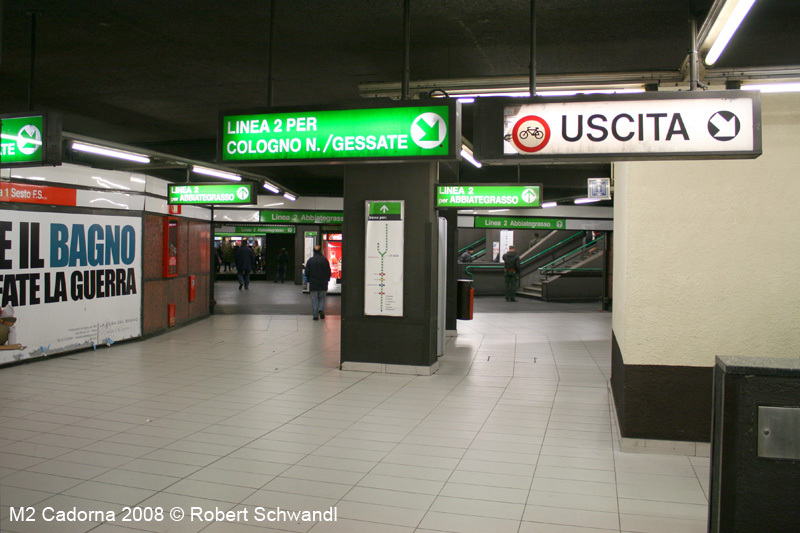 M2 reaches far out of the city to Gessate. 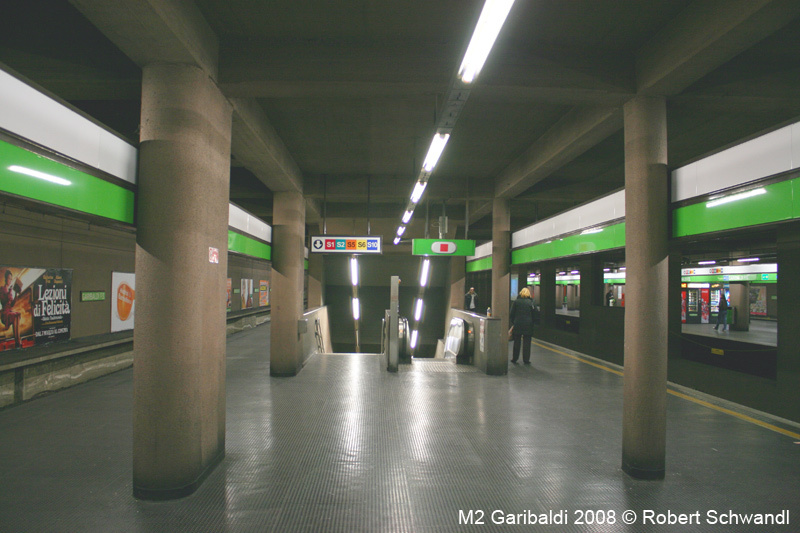 The present network comprises four lines, with a fifth (M4) under construction. 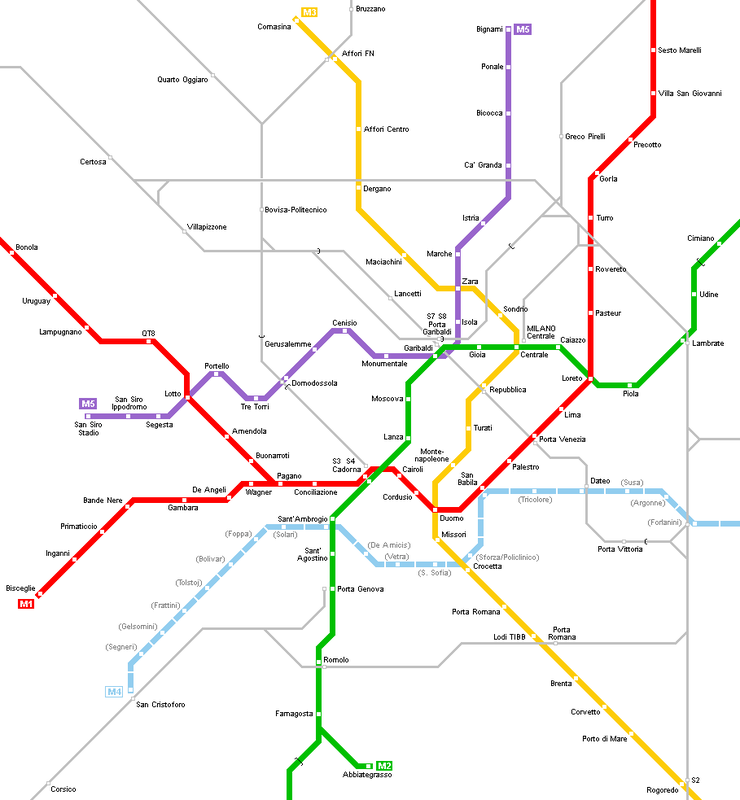 While lines M1, M3 and M5 are completely underground, line M2 includes two surface branches at its eastern end and one surface branch at the southern end. 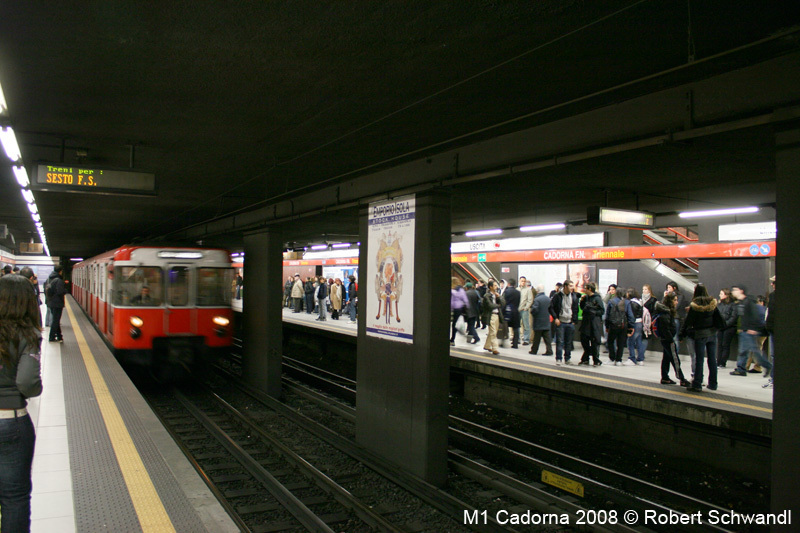 Line M1 has third rail power supply, whereas lines M2 and M3 have overhead power supply. 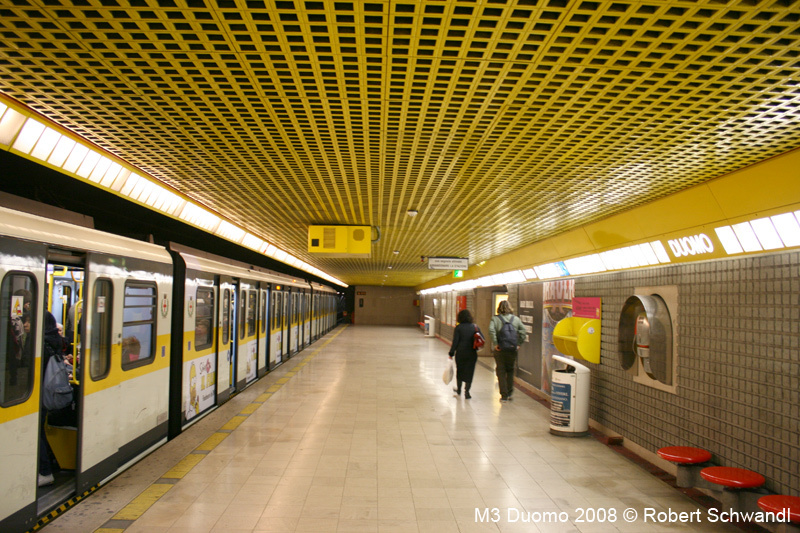 Line M5 is a fully automatic, driverless line. 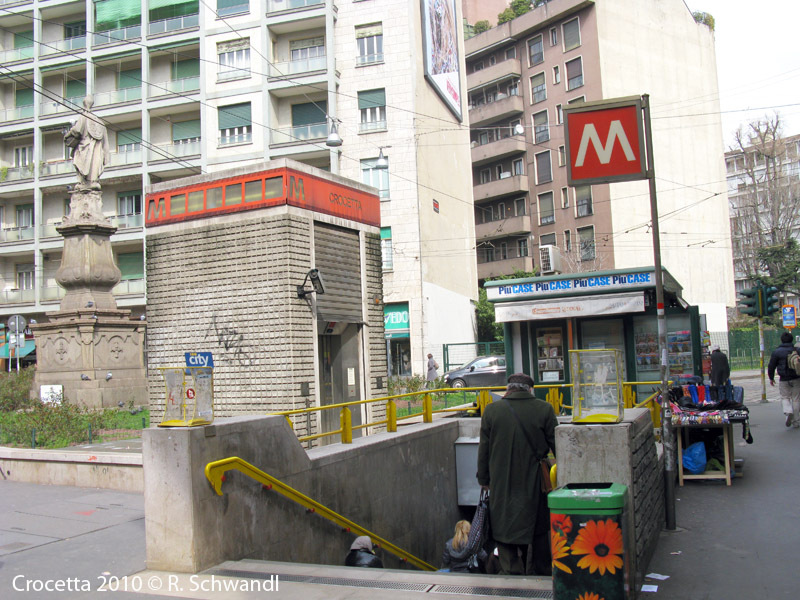 In 1972, the green line was extended from Cascina Gobba to Gorgonzola by incorporating the former interurban tram route to Vaprio d'Adda and Cassano d'Adda, which only a few years previously had been upgraded on a completely segregated route. 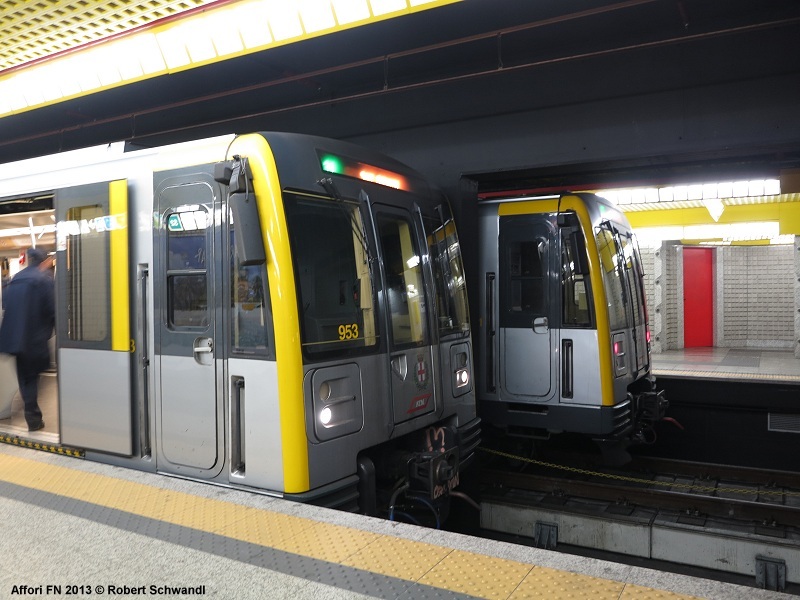 After the completion of the southern Assago branch, trains normally operate between Cologno Nord and Assago Milanofiori Forum, and between Abbiategrasso and Gessate, with some trains terminating at Cascina Gobba. 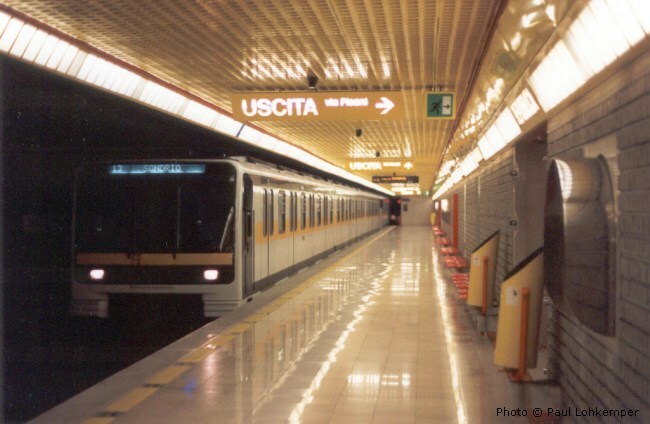 In December 1999, an automatic shuttle line (POMA-OTIS) opened between Cascina Gobba station and the San Raffaele medical centre (682 m). 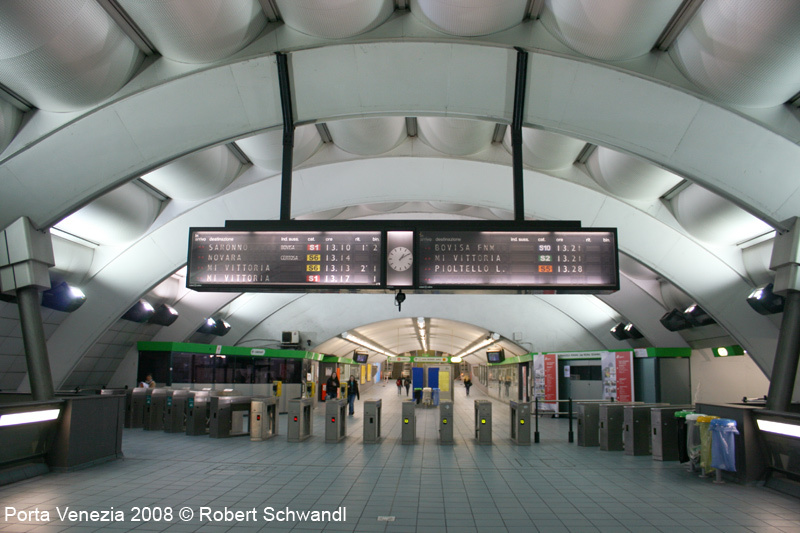 Sometimes referred to as Metro San Raffaele, it is shown on maps in green like M2, but with a thinner line. 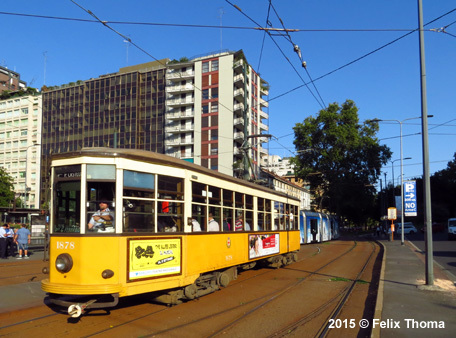 An extra fare is charged on this line! M3 is fully accessible for handicapped people. 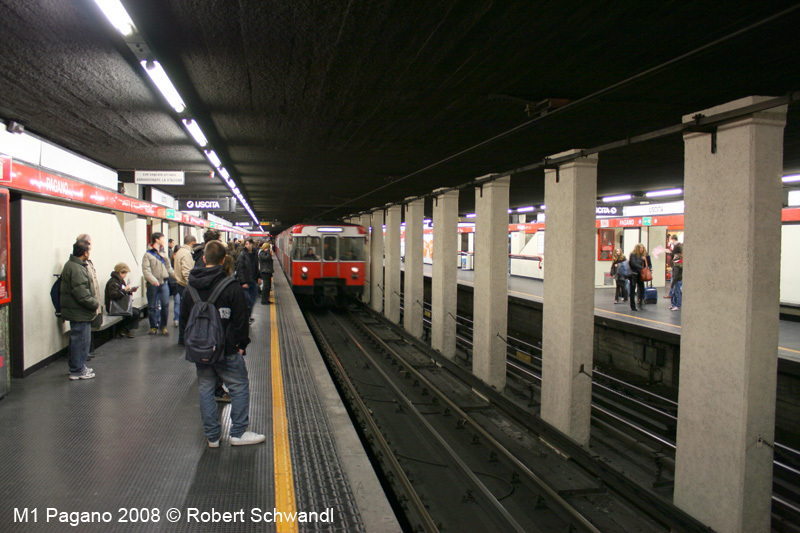 Along the central section of line M3, tunnels and platforms lie on two different levels on top of each other. 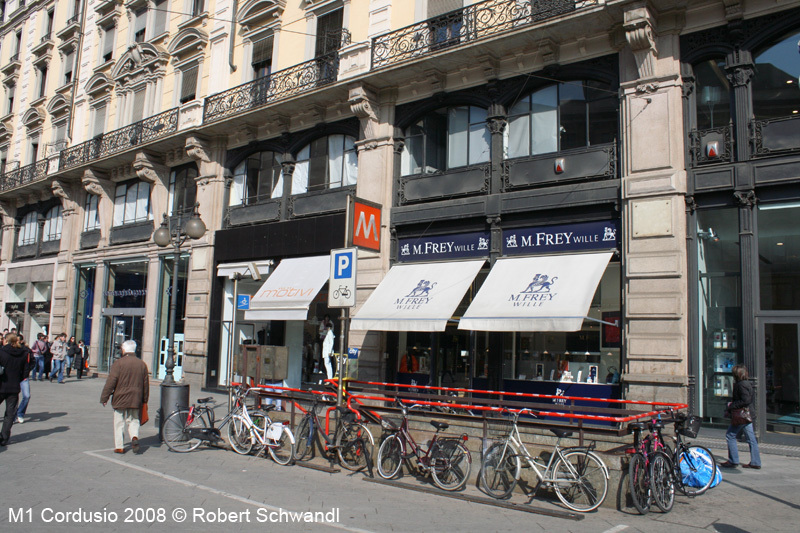 Click here to view M5 photo gallery! 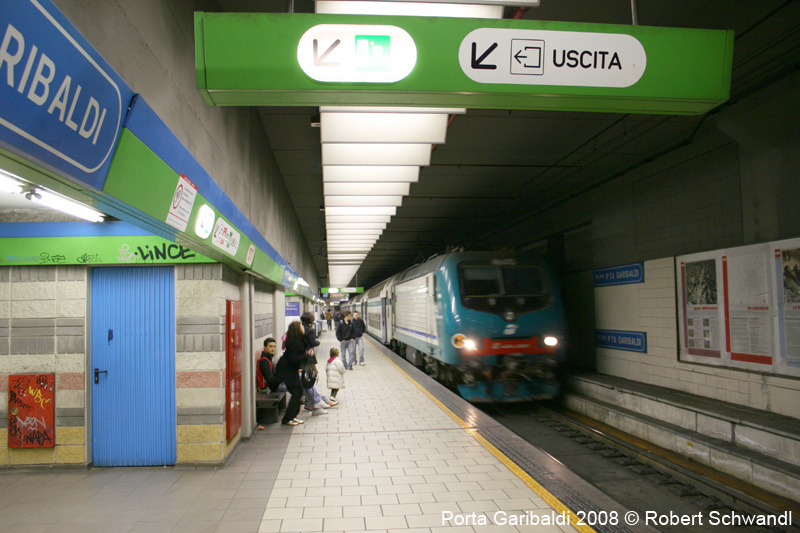 For a better integration of suburban trains and metro a cross-city rail tunnel (Passante) was built to connect the northern and western suburban lines to the eastern and southeastern routes and at the same time improve transfer to the metro (Garibaldi - M2, Repubblica - M3, Porta Venezia - M1). 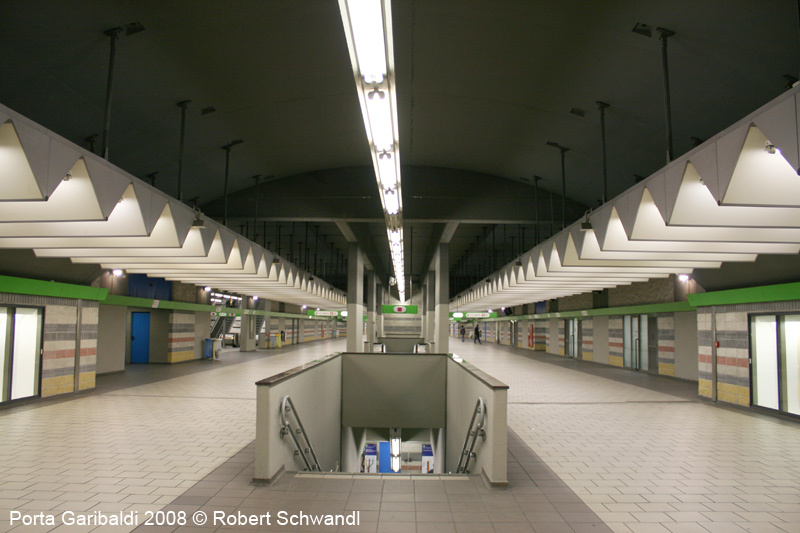 The first part from Milano Nord Bovisa to Porta Venezia was opened in Dec 1997. 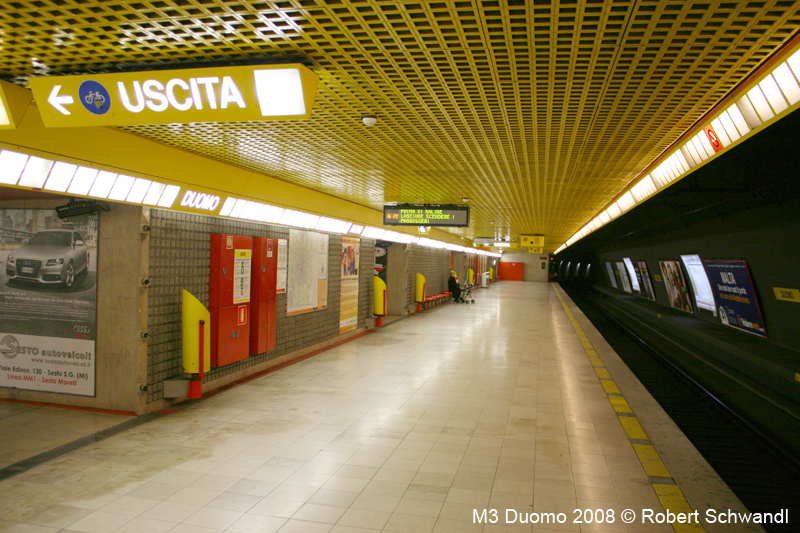 A northbound branch from Lancetti to Certosa FS opened in 1999 allowing the Passante to operate three S-Bahn type lines to Saronno, Gallarate and Varese (plus an urban service between Bovisa and Porta Venezia); the extension form Porta Venezia to Dateo was added on 30 June 2002. 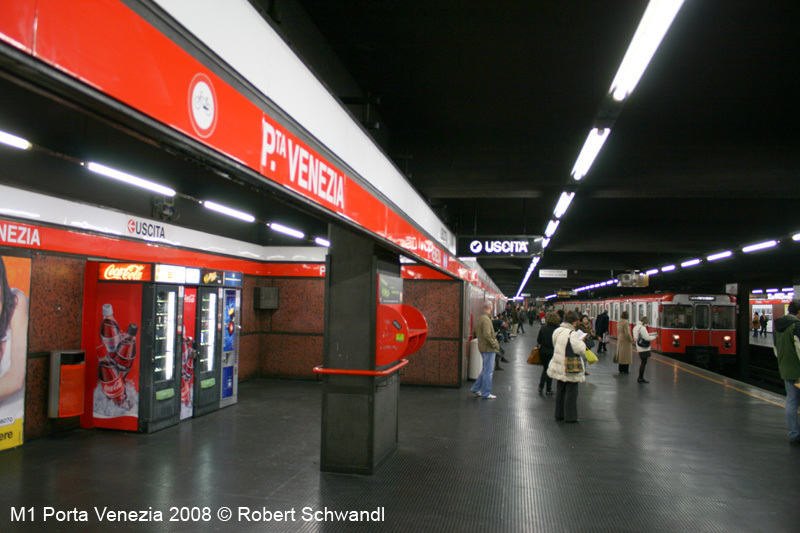 Eventually on 12 Dec 2004 the Porta Vittoria station opened completing the central Passante project and allowing through service from east to west at least on the line to Pioltello. 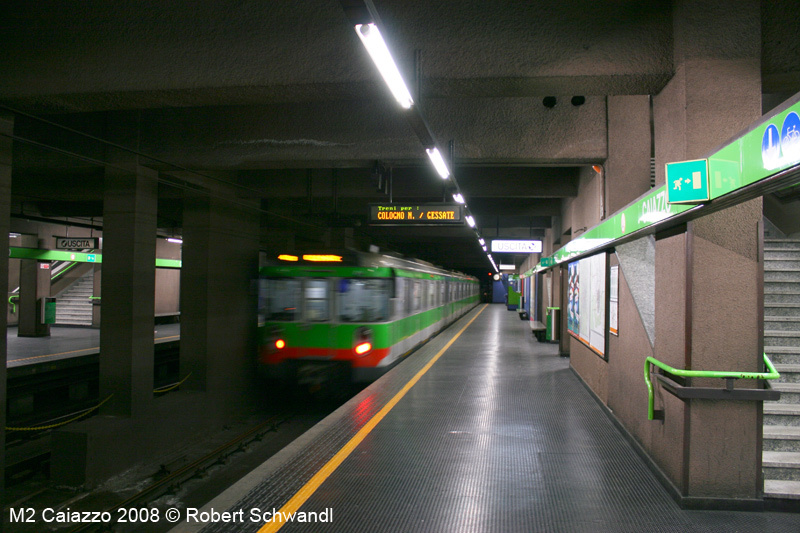 That same day the new S-lines network was launched offering a train every few minutes along the shared underground route (Lancetti - Porta Vittoria). 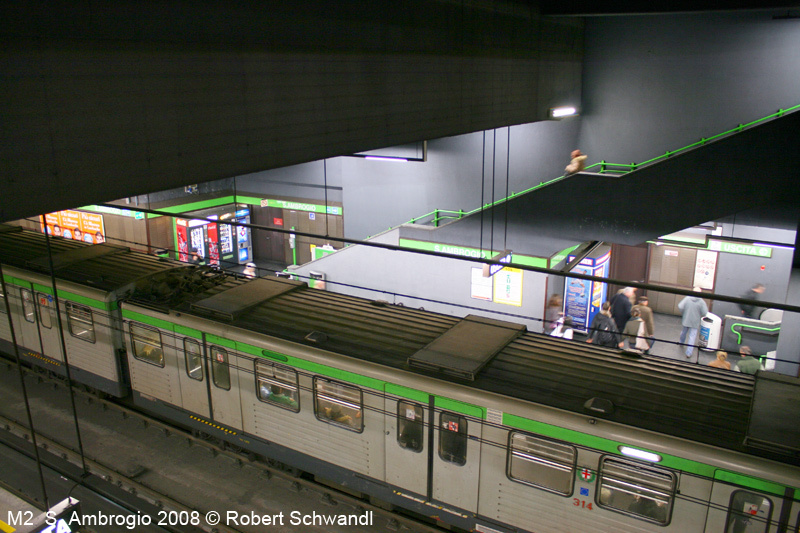 From 15 June 2008, S-trains have also been running on the southeastern leg to Rogoredo (3.5 km). 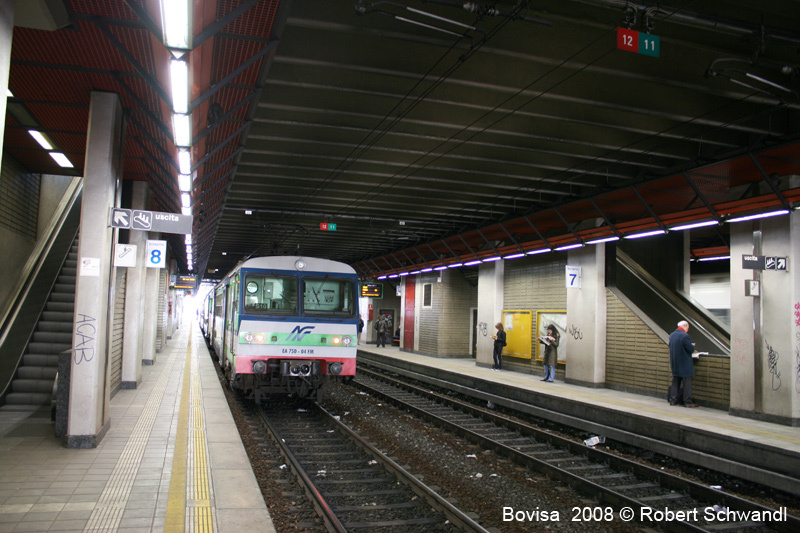 On 13 Dec 2009 S service was extended to Lodi and to Treviglio, and new lines S8 (from Garibaldi to Lecco) and S11 (from Garibaldi to Como) were introduced. 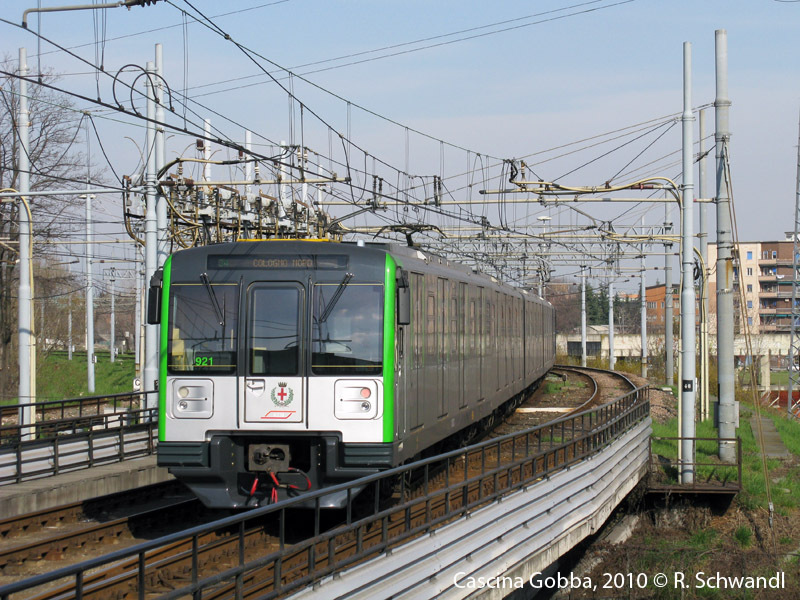 Since 2011, when line S13 from Milano Bovisa to Pavia was introduced, S lines have been operated jointly by Trenitalia and Ferrovie Nord under the brand name "Trenord". 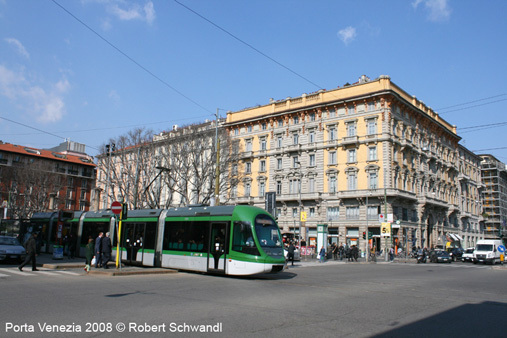 Milan boasts one of Europe's largest conventional tramway network, which is served by three generations of tram vehicles, the oldest dating from the 1920s. 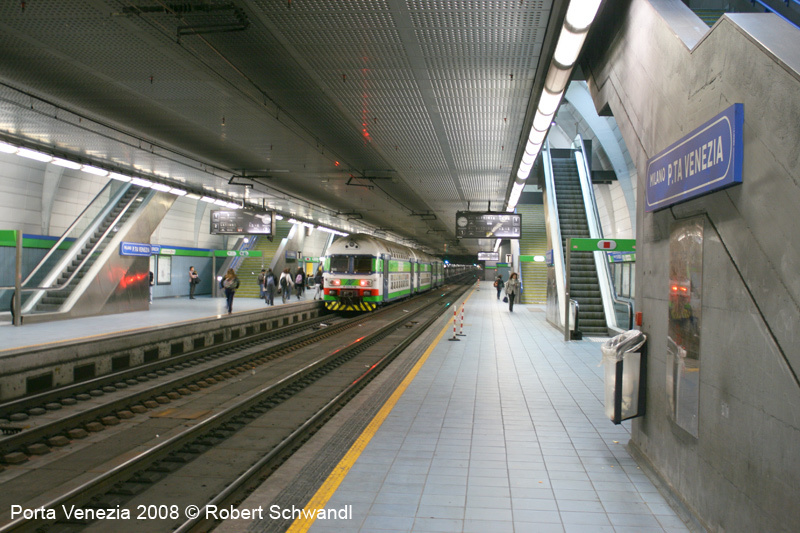 On 15 Sept 2003, a subsurface stop called Arcimboldi/Ateneo Nuovo opened on Metrotramvia 7 (which started service in Dec 2002), located next to the tram tunnel under the railway tracks.